Back in April, Adobe introduced the sixth version of Adobe Photoshop Lightroom, which came with a number of new features. Since then, Adobe updated the software once with a relatively large release in mid-June, which was the first sub-version release for both CC (2015.1) and standalone (6.1). I have been using Lightroom 6 rather heavily for my work and I have found a few bugs and performance issues, which I would like to share with our readers. If you have identified other bugs or performance problems, please let us know in the comments section below! This should help with stability and performance issues. If you don’t see much improvement after playing with this setting, your computer might be a bit too weak to run Lightroom. How fast should it be? Since Lightroom keeps getting bigger and bigger in features, I find it to be very demanding on computer hardware. It runs fine on my most recent build with Intel Core i7-4770K CPU, 32 GB of RAM, SSD hard drives and NVIDIA GTX 970 video card, but it struggles to run on my other 4 year old machine. Lightroom is pretty bloated software overall – except for the earlier versions, I have never seen it run blazingly fast on any computer. Some of our team members at PL have been complaining about images getting improperly tagged when they are uploaded to the site. Camera model is either missing, or shows up as “CORPORATION”. After spending hours looking into this problem and debugging a lot of code, I found out that the server software had nothing to do with it – turns out that Lightroom 6 is improperly generating EXIF data in images when they are exported. So if you have a website and EXIF data is showing incorrectly for uploaded images, don’t blame your website – it is Lightroom’s fault. Instead of the camera model, the caption shows “CORPORATION”. If you are wondering why this is happening, Adobe misplaced camera manufacturer for make when generating EXIF data. In this case, the word “CORPORATION” is from the “NIKON CORPORATION” EXIF tag. This is not a big deal for most people out there, but it is annoying as heck for any website owner that displays EXIF data in images. In prior versions of Lightroom, I used to be able to export an image, then immediately move to another image and export it. I could repeat the process several times, while Lightroom was doing the exporting in the background. With Lightroom 6, I often encounter pretty severe slowdowns during the export process. I am not sure what has changed, but exporting images sometimes eats up a lot of CPU / GPU and Lightroom gets into a crawl. My mouse cursor will slow down and get jittery and clicking on other images won’t do anything. I have to wait this period out, which sometimes lasts for 5+ seconds. The most recent update of Lightroom seems like has helped a little bit in improving the lag, but the issue is not completely addressed. For those who like selecting images and exporting them in batches, Lightroom 6 might be a bit disappointing to use compared to prior versions. After an image is exported and the batch process is triggered to remove junk from images, Lightroom often turns off the secondary window in my dual screen setup. After the export process is fully complete, I often have to press the F11 button to bring back the secondary window, which is rather annoying. This bug has been there since Lightroom 5 and it still has not been fixed. Lola had a couple of random crashes with LR 6 when she was editing a wedding with around 2 thousand images. She could not tie crashes to a specific action within Lightroom and said that it crashed after using Lightroom for over an hour while applying adjustments, spot removal, presets and other actions. She has more weddings to edit and I have asked her to let me know as soon as she encounters an error next time, so that I can see what might be the reason. I personally have not encountered serious crashes yet, so I wonder if it is specific to her environment or not. Overall, except for the above issues, I am fairly pleased with Lightroom 6 so far. If Adobe can address the above issues, it would be even better. I think the big one that still needs to be tackled is GPU Acceleration – it seems to be the cause of most frustrations with the software so far. Lightroom 6 seems to run faster on my Surface Pro 3 as well, which is great news for me, since I travel quite a bit and depend on the Surface Pro 3 heavily. Please report your issues / bug reports in detail in the comments section below and I will forward them to Adobe’s development team. Thank you! How much ram are you using and how much are you allocating to the program can also affect performance, rendering, etc. Your processor, SSD drive and other hardware will also affect performance. One thing is for sure, graphic applications draw upon every resource you have. At times, it will force you to upgrade adding to the over all cost. I had seceral problems with lightroom cc 2015!! My video car is not supported Amd Firepro 4900 but is is no problem since I upgraded my computer when I bought my D800e. I have a fast processor,ssd drives and 32 gig of rams. I wan’t able to run lightroom (it closed immediatly)and adobe technicians weren’t able to help me out!! After many days of frustration and trying to figure out what was wrong I was able to get lightroom to open. I think they release it way too early and didn’t do proper bug testing. Photoshop cc 2015 use my gpu and never had a problem installing it. I also encounter the same problem as you when exporting files, it slow down my computer a lot!! Lightroom often crash when I zoom in and zoom out, it doesn’t respond and I have to close it with task manager. I can say I am totally unimpressed by Adobe!! I never had so much problems to get a program running and even when it is running my video card is not supported!! Other then that I like the white and black adjustement when using the adjustment brush!! If you export too many big files, very quickly you’ll run out of space in your lrcat drive. This is a bug that was also in 5,4,3… They never fixed it. I want to upload a few thuds d photos to Flickr and my boot drive is out of space very quickly, and also risks Curripting my library. Text based water marks are truncated by at least one character about 50% of the time upon export. Re-exporting usually corrects it. It’s like it doesn’t finish “typing” the string before it exports. Using a D810 I ran into a very annoying problem: LR6.1 seemed to ruin all my raw photo colors somehow all of a sudden. At last, Adobe found out what the bug was and came up with a solution / work-around: helpx.adobe.com/light…rofil.html. Hi Picturesque… have you had any luck with this workaround? I can’t seem to get it to work, and find that Adobe has applied the new “Camera Flat” camera calibration to every one of my photos in LR. Extremely frustrating! I would love any tips you might have on getting the workaround to actually work. Thanks so much! Thanks for all the info. I’m having a different issue since updating to LR 6 and have spent hours on the phone with Adobe without any fix to my problem. Seems each time I talk with them their standard answer is it’s at level 3 and we’ll get back to you within 24-48 hours. I have googled the same problem and have found others with a similar problem. I am unable to drag an image to another folder or unable to drag a folder to an external hard drive. When I import my images it goes in a date folder. After editing image I usually put it in a subfolder (i.e., birds, landscape, macro, etc). Adobe took over my system and we rebuilt a new catalog and he messed with a plist.file. But after closing out LR the same thing would happen. I’ve upgraded my mac to all the latest versions, uninstalled LR, reinstalled LR and still nothing. The last email communication from Adobe was to “clean my computer” uninstall, reinstall LR. Or it might be a third party problem?? Any suggestions or comments? Pretty frustrating having about 25 date folders and not knowing the contents of them w/o hovering over each one. Apple’s photos app is very buggy, but it shows you how far you can go with GPU rendering. It is pretty amazing when you think of it. I just view images full screen and hit the right arrow key. Images scroll by in crazy speeds without any nlag or wait times. El capital will also support third party editing extensions so this thing becomes really interesting. Plus, with iCloud Photo Library my actual RAW files get stored in the cloud for backup, for the price of lightroom’s monthly fee. So I have to wonder what is preferred. I’m really curious as to how this will work out. I have given up on Lightroom ever becoming a competent and fast app so I’ve been looking at alternatives while still running LR 4. I just played around with the El Capitan version of Photos, and it looks promising. I was able to import my full 25,000 image library without it crashing so they fixed my number one complaint. Also, El Capitan will support third part extensions. And the faces identification feature is really nice. There is hope. They just need to lower the monthly price and up the storage. I have 750gb of videos and images and I find it too expensive to pay the 20$ a month Apple is charging for it. -[__NSCFConstantString characterAtIndex:]: Range or Index out of bounds on my Imac. Hi Jan I have the same issue, did you fix it? There is also a problem with LR2015/6.1 colour profiles for the Nikon D810 which Adobe denied and then admitted that there was a known problem see helpx.adobe.com/light…rofil.html. I couldn’t get a definitive date for this matter to be fixed, just that the engineering is working on the issue and other Nikon cameras “may” be affected. Not good enough Adobe. The work around is tedious and not a complete fix. Hi! As a Nikon D810 user, I am completely in the same boat. It has been a nightmare! I have been trying to get Adobe to give me a date on the fix, and they keep telling me to be patient and wait. Awful! I’d love to hear if you’ve had any luck with other workarounds. I’m getting desperate at this point!! Thanks! The problem I am having in light Room 6 is that when I press control F to see the full screen image it freezes there and I can’t exit the full screen and therefore have to restart my whole MacBook Pro again and often times it restarts and my edits aren’t saved. It happens at least several times a week and is really annoying! I have the same issue on windows machine. And sometimes, the preview is just out of focus. I’m really wondering why I chose this time to go to CC. I went CC 2 days ago. Canceled today! Got all my money back. Lost 6-7 hours installling, uninstalling, downgrading. Back to CS6 and LR 5.7.1! Same issues as you and o so many more. Same issue with me on my Windows. Sometime I have to restart my laptop to solve this problem. How is it as a library manager? Snappy? It is okay. I have about 400000raw-files in some c1 databases and it works. I don’t want to make advertising but I tried a lot after aperture 3. Not everything is solved on the best way, but the most important thing a but this software is the great raw-converter and the picture quality. Did same. Don’t feel like I’m stuck in a big sticky spider web anymore. Hi Mike, i am considering a move to C1 as well but really enjoy LR’s because of the gradient filter and spot removal tools and presets. Does C1 have those capabilities? Can you do a trial download with C1? LR 6.1 takes dramatically longer to start than V5, which is more an “aspect” than a bug. But the showstopper for me is when a slideshow finishes, it neither repeats it nor stop – it sort of hangs. Three-finger-salute (control-alt-delete on Windows) then switch back to the app fixes it. Annoying. Hi Nasim! Thanks for the great article, as always. This one truly hit a chord! For all Nikon D810 users, we can no longer access the “Adobe Standard” camera calibration profile of which all previous editing was defaulted under in the Develop panel. LR now defaults to “Camera Flat,” and does not show the option of Adobe Standard. In that case, all previous edits you have done are rendered useless because of the terrible affects Camera Flat automatically applies to your images. Even switching from that to the now “Camera Standard” still does not compliment past edits done under “Adobe Standard”. This whole issue has been a complete NIGHTMARE! I have been in touch with Adobe regarding this matter (along with many other D810 users), and they have responded with a workaround: helpx.adobe.com/light…rofil.html. Unfortunately for me, and probably many others, this workaround does not work. At this point, I am at a complete loss and beyond frustrated. For those who depend on LR heavily to make a living, this error is crippling. If you have any workaround ideas Nasim, I love to hear them! Thanks so much! Does anyone know how to load topaz plug ins into lr 6 worked fine in ver 5 with fusion 2 but I can’t fig out ver 6. I found a new issue last night. I created a smart collection to list all images created in 2013. I created one manually; before/after and range. I does not show all the images for 2013. Some are there, some are not. I shot a sport event, and about 12 of the 600 images show up. windows machine. As an after thought, I used to trust LR. Now, I starting to second guess it. Did I get it all? Will it make the changes correctly, and will it be correct when I export? If you have to second guess, thats not a good thing. I have the standalone version. The HDR and Pano doesn’t work. Is this a graphics card issue? I was told this was a graphics card issue. Like others here, I have spent hours on both chat support and phone support with Adobe over standalone LR 6. (Adobe provided phone support because chat support couldn’t fix the problem.) My problem was not a graphics card problem, but Adobe told me that others have had the problem you are describing. I love Ligthroom, BUT it crashes on me about 3-5 times per hour of use. Incredibly frustrating. I run an iMac 27″ from early 2014 with 16 Go RAM and a 4 Go NVidia GeForce GTX 780M graphic card. Not an old or low range configuration I suppose. The update from LR 5 to LR 6 has significantly slowed down most sections of LR, with e.g. slow image update when I use the cursors in the Develop module. I also had to uncheck the graphic acceleration, since this slowed LR even further. Even so, the performance is much below LR5’s. If there is any benchmarking to suggest that different results arise from using different modern graphic cards, I have not been able to find it and Adobe does not address it. Given the new usage of a graphics processor, and with this hopefully continuing with updates, what specs for graphics cards make any difference????? This latest update cured the problem of not recognising the card reader with photo files on it,when first plugged in. But still not able to import photo files from my Nokia 1020 phone. It sees the phone and freezes. Have to copy and paste files in Windows then Sync folder with Lightroom. This comment is on a glitch in Photoshop CC 2015. When building in two or three more photos into a photograph (compositing) that i am working on, there appears, intermittently, when zooming in to certain levels, black blocking which persists until i quit and restart the job. This problem has occurred in the past with other PS updates. The problem seems to be with GPU which photoshop is using more of to increase processing power. One solution to the problem seems to work for me through: Preference-Performance-GPU-Advanced Settings-To: Basic or Normal. This decrease the stress on the GPU and seems to offer a solution. Hello Nasim, Thank you for your as always intelligently written article. I do not use Windows but will confirm that despite plenty of assurances of performance improvements, Lightroom 6.1/CC2015.1 is slower across the board. It definitely demands more memory. One of my students uses a MacBook while travelling and stores to external drives. In LR5 you could use Smart Previews for editing when the original was not present. You can as well in LR6 but it is so slow in this methodology that you can actually watch the changes happen long after you make them. My production machine is a Mac Pro from late 2014. Despite the best graphics Apple had, 32GB of RAM and internal SSD, the current release is visibly slower than the predecessor. 2015.1 fixed some problems, but I find that the longer I am in Lightroom, the slower it gets to the point where a complex piece of work may time out entirely. I have made a habit of exiting every hour or so to prevent surprises. It’s not optimal but not a major headache either. I don’t really see much of a difference between a machine with GPU support and one without except that the background processing can load more work in the job queue if the machine has a supported GPU. Every new major upgrade will have some challenges. The initial releases of LR5 were certainly not optimal. This time is no different. I only wish that Adobe and their agents such as Kelbyone had not been so vocal about performance improvements right up front since the far and away consensus from customers is that it is a poorer performer. This decision has hurt Adobe and their agents in the credibility department. The other CC 2015.1 upgrades also had customer breakage, so I am beginning to wonder if the impetus has become hit a ship date rather than ship when sufficiently tested. After the release of LR 6.2 your words have proven to be prophetic. And it’s the same with Photoshop CC 2015 and Adobe Bridge. Considerably slower and more prone to crashing. I’m using an over-clocked processor running at 4.2Ghz, 16 GB RAM, Samsung SSD for OS drive and scratch disk, and a reasonably powerful GTX 770 graphics card. Turning off hardware features improves matters but still sluggish. Hi Nasim, Thanks for your informative article. I can report a minor bug that I think is irritating: I use a preset where I adds a lensprofile during import. This only works with RAW-files and not with jpg, but that’s fine for me since I only shoot RAW. The issue is that it doesn’t recognize my Sigma 24 mm f/1.4 Art lens even though this profle is in the list of profiles. So, I have to add this profile manually and click twice since Lightroom first selects the older Sigma 24 mm f/1.8. It does recognize my Sigma 50 mm f/1.4 Art though and also and my Nikon 16-35 f/4 and other lenses I’ve used. The workaround that I use is a separate preset for importing pictures shot with my Sigma 24, but then Lightroom adds the Sigma 24 Art profile to all the pictures, even those shot with other lenses. I would be happy if Adobe could address this. I came across this posting and thought it may be relevant as well. Going to try over the weekend.. I don’t know if it is a bug or intentional but when I copy raw files as DNG, Lightroom now copies everything first as raw and then converts them as soon as the whole batch is copied. It makes conversion a little bit slower. It used to be that raw photos were converted while being copied. Yeah, I noticed the same thing. Right now, I am feeling pretty lucky. I purchased my last machine in 2013 and it has 2 SSD’s, I7 CPU and Nvidia 660 graphics. LR 6 performance has been much better than previous versions! I did recently upgrade to 32gb of ram and it didn’t seem to make a performance difference. Overall, I am pretty happy with LR, but it doesn’t run as well (nor does PS CC) on my Macbook Pro. It seems sluggish just like LR 5x. Obviously, its has lower specs than the desktop. Eventually, I will get Surface Pro 3 (or replacement) when the Macbook is a little more obsolete, so it’s good to know that it performs well on that platform. That is, the spot removal tool will only work in clone, even if I click on “heal” I still get clone? Ever since I got the LR 6 and PS CC 2015 they both crash frequently. I have to force quit over and over again. No help from Adobe. Tried their forum but no help there. I loath the beast Adobe and cringe at the thought of calling their help desk. Hello, hope Adobe would know this page and fix the problems. I’m having a different problem… when I make photobook, I cannot change the number of lines of neither ‘page text’ nor ‘picture text’ that I could do at LR5. The number of lines letters are blackened out and I cannot change from 1. *I’m using Japanese version, maybe the words I used this comment are not exact same as English version. When adding key words by clicking on the box to the left of where they appear in the right-hand panel, the LR window frequently resizes to something too small to work with. Surreal and annoying – it really slows down my workflow to have to drag the edges of the window out again. How about Photoshop CC? I see the same problems there. Very slow to load, very sluggish. Every time it is updated it slows down noticeably. I have had a lot of problems with random crashes. Mainly when I am exporting an adjusted image to post or email. So much that I have stopped using it. I never had this problem with LR 5. Admittedly, I have an old computer, a 2010 Mac Mini with 8GB RAM. But most everything else runs OK, if slowly. I’m going to get a new machine soon, but this is disappointing. Any tutorials for Lightroom 6? Adobe is decoupling from their customers, like others in the imaging business (I look at you, Nikon)! I hope that Affinity will hold up the promise. If it does, I will leave Adobe for good. I am using C1 as raw converter with excellent results for Nikon, Olympus and PhaseOne backs. I am using C1 mostly in session mode and use MediaPro to catalog. I also have LR5 but am not using it. A LR user might use LR5 for the catalog and C1 for the conversions. That would be a reasonably fast solution yielding far better color anyway. I have noticed a lot of my adjustment sliders are very laggy. Example being the exposure slider. 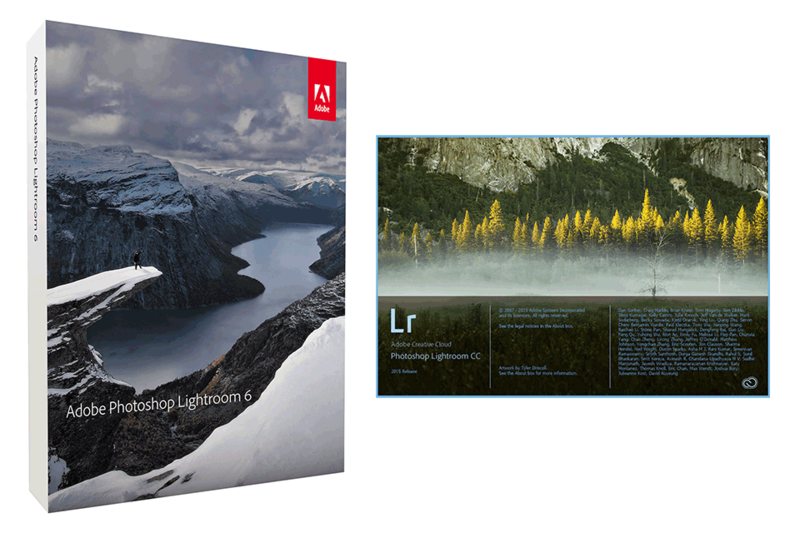 Lightroom 6 works without any problems on my multimedia laptop (that ‘ve yet noticed,) but on my travel netbook (win 8.1) i tried once & gave up and had to use to lightroom 4. on the netbook (with hardware from around 7 years ago) lightroom 6 did not display thumbnails of the raw images as i tried to import them. Dunno, but for me, slow as a dog, loaded with bugs. Worst Adobe QA ever? Is this what we have to look forward to each release now? Oh and did I mention sloooooooooooooooooooooowwwwwwwww? I’ve also found the Photomerge function absolutely dire in Lightroom 6. Stick a batch of images through Photoshop and they stitch perfectly first time, stick those same ones through Lightroom and it manages to make a mess of incredibly basic elements (and orange bike frame with a heavily blurred out green background, for example). I’ve tried it 10 or more times and get the same every time. Very odd as I would have assumed the algorithms etc would be identical. Just wanted to jump in and say I’ve had many of the same issues as many of the people above. And it’s sluggish, crashes frequently, etc. I was very excited about the GPU acceleration but that has turned out so bad that I have it turned off. One other thing that has been bugging me too is that when I import from an SD card, once it ejects the card sometimes it will let me import another while it’s converting to DNG and rendering previews, sometimes it doesn’t. Really annoying, and I regret moving to LR6–other than a couple brush settings things there’s really nothing new that helps me. For me, there was absolutely nothing in the new version of LR that I thought worthy of updating for. That aside, I learned long ago never to be the first kid on the block with the latest and greatest version of X software or hardware, because you’re simply going to wind up a beta tester and not getting a lot of work done. This is so scary for me. I just went from LR4 to 6. Not even too sure how to use it yet. I bought the Steele LR learning videos and hope that helps. i have an older machine my son keeps telling me to trash. He wants to build me a mean machine. Oh well lets see what happens. I’ve tried settings graphic card acceleration ON and OFF. I did experience a few crashes with it ON, mainly when changing from library to develop module, but I can’t say if they are related or not. One thing I’m wondering, the interface seems to me a bit more “snappy” with graphic acceleration ON, but I might be suffering from confirmation bias. Is there a test I could perform to determine if it is factually helpful or not? The issue is there, not every time but definitely half of the time I use LR CC. – Lightroom CC on my mid-2012 MacBook Air always crashes after import processes, failing to load preview images. 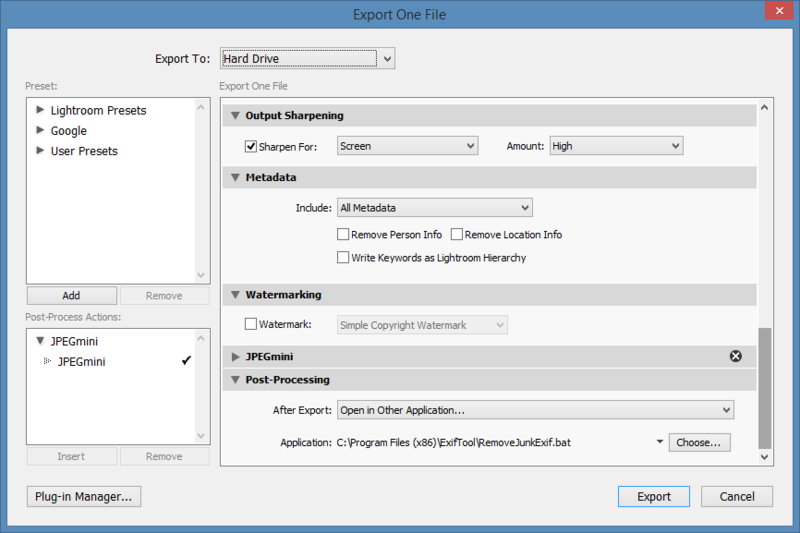 – It does not properly write keywords into DNG files during import. – It sets back numeric values I enter in the Development module. – It sometimes fails to load files from my NAS. The improved functionality compared to LR5 is nice — especially the Dehaze function — but in general I feel LRCC is buggy and annoying. I found the strangest thing happened. I subfolders inside my exports and then start to organize my files into them, after i move the files into a folder my selection goes back to the first file i selected. In lightroom 5 it would always go to the last file i selected. This change is driving me nuts as it is actually tediously adding scroll time to my sorting process. It sounds like nothing but when you shoot and sort over 2k files per day were talking a good hour just scrolling back to find the next file. Anyone else noticed this?? I commented above about not being able to move images within LR6… (see earlier post). When I called July 6 Adobe rep “we will get back with you in 24 hours” …. was out of town so it was ten days before I called back yesterday. On hold for a few minutes “your problem is being addressed and is at Level 2 and we’ll get back with you when a solution is found”! I said I wanted to talk to a supervisor as this has been going on for over two month. After much conversation with this rep (and trying not to explode) he took over my computer and tried the very same things the first rep tried. He assured me that I am not alone and they are working on it. He suggested to move my images in via finder (using a Mac). Then as long as I sync my folder it would be fine. Why didn’t someone tell me this sooner or why didn’t I know this? Always thought I had to do everything via LR otherwise LR wouldn’t know what was going on. I shoot almost every day and have a lot of images to organize but at least this is a solution until it’s fixed. And I found this interesting….. If I make a new folder in LR and select the photos I want to move there is no problem moving those images? Still having problems with PSCC crashing…. mostly when using Nik software…. making sure I save image prior to trying to work in Nik and/or Topaz. I hear your pain. I have had the same issue with crashing with NIK, both CC2014 and LRcc. I too have to make sure I save things all the time as I go along with an image. I too called Adobe and the guy went on my computer and didn’t know what he was doing. Said he had to ge some help. They then hung up on me or it got disconnected and I never heard from them again. I don’t even bother calling adobe help anymore. They have no idea what they are doing. So will wait till one day things will be fixed………………. Thank you for addressing the EXIF bug – this is the first time I’ve seen acknowledgment of it. I think that this EXIF data issue also includes a dating problem. My problem showed up when I was attempting to move a batch of photos to my iPad. I first exported them to Photoshop where I edited some, left others alone, then saved all to a folder as JPGS. Using iTunes, I tried to load them into the iPad which accepted only 15 out of the 20. An unhelpful error message popped up but nothing I did would make them load. I moved on to try again using iCloud. No dice, but this time the error message said “Invalid EXIF data” which at least gave me a point from which to do a little research. Turns out that that Lightroom was changing the “capture date” (upon export) to the “modified date” and both the the iPad and iCloud saw the discrepancy and rejected the affected photos. The rejected photos were the ones that had been edited in Lightroom but not edited in Photoshop – I assume once Photoshop was used for editing, it had control of the EXIF info. Using this realization, I determined that the problem had to be coming from Lightroom. Needless to to say, the workaround is time consuming so I’m really happy to see you addressing the issue. Thanks. Lightroom 6 is the worst version of LR i have ever used. It is slower than LR 5 and full of bugs. I lost my money. I will not buy next version of LR in the future. DxO Optics Pro recommends to process not more than 2 pics at the same time for otherwise the software will…crash!! I believe the same rule applies to LT6, PSCC or all THINGS from ADOBE! I am using two computers and ….one screen!! And process pictures on two computers and have…..NO CRASHES…..maybe this is the clue to crash free pics processing??!! Im running Windows 8.1, Core i7 5960 8 core @3.9 Ghz, 32GB RAM all overclocked, R9 390 8GB graphics card, SSD drives Catalyst 15.7. Lightroom CC 2015 crashes every time if GPU acceleration is enabled. Turning it off is the only way I can use Lightroom. Hope they fix it soon. Lots of comments, didn’t find my problem and apologize if it’s in previous comments. When exporting a large number of raw files converted to small jpegs (1000 on long side) my computer (widows 7, i5, 8gig) crashes after about 25-35 conversions (literally reboots). This never happened before. Have been using the same camera for 2+ years. Previously used a larger (D800e). Never a problem. Appears to be a memory management issue as my Windows Task Manager shows Lightroom progressively using more space as it converts files. Keeps converting until it runs out of memory. Is there some sort of setting I need to adjust? Have you overclocked the PC at all ? Preferences, File Handling, camera RAW cache settings, put it on a different drive to the OS and set it to say 25GB see if that helps. Other things to try would be fresh Windows Install, as in format the OS drive first after backing up. Install latest drivers, install Lightroom CC, try turning off GPU acceleration. I have a monster PC and lightroom still crashes sometimes, Core i7 5960 8 core, 32GB RAM, SSD, R9 390 8GB. But it doesn’t bring down the whole OS. Ok I am working on LIghtroom 6 CC lates version updated form Cloud today. It keeps crashing everytime I develop a picture….. If i am just browsing the library it works fine, it lets me develop I am mainly cropping changing exposure, contrast and clarity… and every single time after I am done and select the next picture from either the Filmstrip or the library Lightroom simply stops working. Hope there is a fix for this! I have LR 4 and love it, but when I started reading or watching videos about LR 6, I had to have it. When I first loaded it, it worked great and I was so excited with the thing is could do. But then I noticed that it started to get slower and slower as I moved the sliders, enlarged/shrunk the pictures, etc. Now when I try to export, it’s doing nothing, and I have to x it out and retry (sometimes several times before it does it).. I just installed Lightroom 6 and I have crashes every time moving photo from the library module to the develop module. It is very frustrating and I have reinstalled the software several times and updated it with the latest update. I tried to unchecked the graph card accelerator but I can’t. I just installed Windows 10. Has anyone having this problem? You might have to create a new, completely empty catalog to be able to uncheck the graphic card accelerator, I know I did. solved the problems I was having, just delete the unused catalog once it’s done. My light room 6 is not retaining my watermarks! I pick one of my logos that was previously uploaded and saved and it is gone and have to re-upload every time I want to watermark my images–it is a total pain! Once you had all of our LR complaints are you giving them to the Adobe CC people? Since updating to Lightroom 6 I have found that, whilst everything is fine in Library mode, as soon as I go into Develop mode and perform any action on an image everything freezes and I get a translucent white screen. I get the message in the header bar “Lightroom 6 is not responding” and the only way out is to force a close-down of the program. Thus, I am now unable to do any developing, and I’m not paying every month for something that doesn’t work. It’ll be interesting to see Adobe’s response if I try and stop my Direct Debit. I use LR6 to generate slideshows of photos from trips. I use the “Export JPEG Slideshow” feature and generate photos using captions and dates. 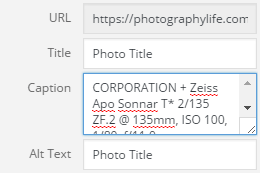 In LR6.1 and in LR6.1.1.1, when exporting jpeg files, all of the photos have the same caption and date even though on my monitor each photo has the correct caption and date. This is a show stopper for me. This feature worked correctly in LR5 versions. This error occurred when using LR on Windows 8.1 and continues on Windows 10. Following my post yesterday on this problem with LR6 I finally had to contact Adobe telephone support because it had become unusable. Thanks to their remote help my problem is solved; it’s all to do with the graphics accelerator in your graphics card which LR6 is utilising in order to render images more quickly, particularly in Develop mode.There are some AMD graphics cards that are unable to do this without crashing so it is necessary to disable GRU Acceleration in LR6 Preferences so that the card doesn’t crash. I’m told by Adobe that AMD have been made aware of this problem and updates to the relevant software should be forthcoming. Hope this is of help. Has anyone experienced problems importing jpeg images? I’m talking about jpeg only (from a point n’ shoot camera), not about raw+jpeg. I can import RAW files (from my Nikon) without problem at all. But when I try to import jpegs LR 6 keeps showing the “Copy and import photos” message at the top left, but the bar does not progress and it does not import the photos regardless of how many hours I’ve left it trying. While supposedly importing the jpegs, the program is responsive and I can do other things (editing, navigating, etc). I don’t know what else to try. Any ideas? Is anyone having the same issue?? Ok, I’ve just discovered a workaround for the problem I described above, in case anyone is interested. Do not render 1:1 previews, use Standard previews instead. Then the import works as expected. Obviously, the bug is still there, this is just a work around. I recently upgraded to LR 6 from LR 5 and am experiencing frequent crashes. I am going through my images, one by one, rating them (keepers vs and making corrections), and switching in and out of the Develop view. When it crashes, it almost always crashes in Develop mode – most often while I’m cloning out spots or whatever and sometimes when applying adjustments to masks. These crashes started with 6.0. 5.5 would crash sometimes if I ran long enough – it would get slower and slower and slower until it finally just crashed. The next time it happens, I’ll post the stack trace. I got the update on Lightroom too. When I’m about to install new presets, Lightroom crash. Every time I try to open, file, edit, picture etc. ect. Lightroom crach. I’v tried the the issue about graphic card too, tried Adobe support… Nothing seems to help. Does anybody else have this problem. When I had the older version of Lightroom, it worked fantastic. LRCC in D mode MUCH slower than LR 5.x on my 2015 13″ MacBook Pro. Extremely disappointing. I have a 13″ MacBook Pro purchased late 2014 and was thinking about upgrading to LR6. After reading some of the comments I’m thinking maybe I should wait? From reading the comments, most people have found Lightroom 6 to be unstable crashing every now and then. I have also found the instability of Lightroom 6 to be an issue particularly when using the “Slideshow”. At times the preview on the Slideshow will just crash and display a blank screen. To get the Slideshow to work, one has to close and re-open Lightroom and re-generate the Slideshow. This is most frustrating. Another problem with the Slideshow is the adding of music files, none of the files (MP3, M$a, etc.) do not seem to work on Lightroom 6. When trying to add the music file Lightroom retuned a message that the file formats are bad. These music files used to work with Lightroom 5 without any issue. It was previously a joy to use Lightroom, not anymore. I shudder to think of what further bugs there are. Nasim, thank you very much indeed for this article. Last week I upgraded to Lightroom 6 (because my new camera wasn’t supported by the previous version I have been running) and it has been one big nightmare of poor performance and slowness. As a professional photographer I have been tearing my hair out because of the time taken to complete basic procedures such as rendering an image and making adjustments. 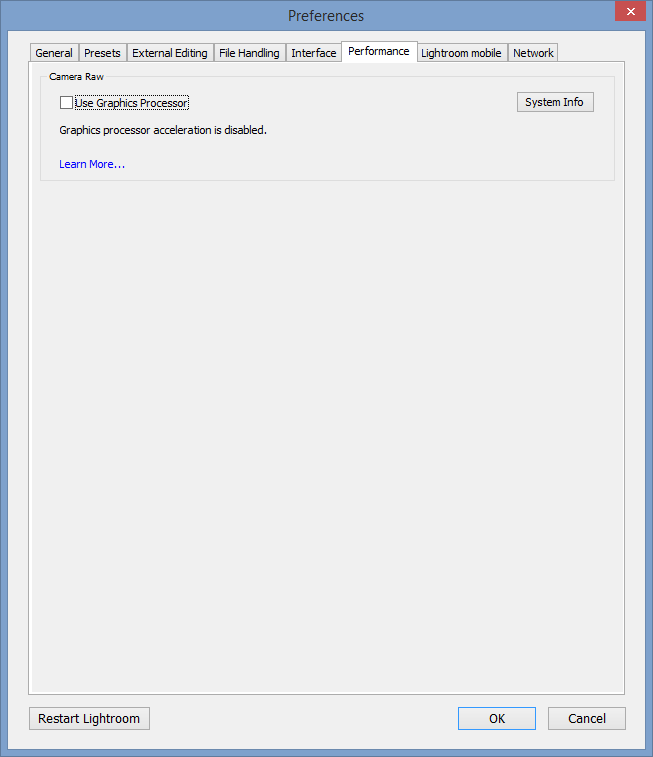 Thankfully I found your blog and as you advised I have switched off GPU in the Preferences panel. What a difference – it is now very fast and so far behaving normally. Thank you again for sharing your knowledge. Also, I have noticed some of the bugs already reported by your readers – Adobe needs to fix this quickly, it’s not good enough. Since I have installed LR6, my computer is running super slow and crashes up to 30-40 times a day if I am using the program. I took my computer to three different tech specialists at the Apple store, stayed for a total of 16 hours working it with no success. Then, I took the computer to yet another, higher-tiered specialist, who spent 6 days trying to figure it out. He concluded it was “a software” issue. Sure enough, even with wiping the hard drive clean and installing a fresh operating system, it still crashes repeatedly while using LR6. I have a problem under LR6 : I work only on Raw files (with a Canon 5DS: CR2 files) and recently when i export it into Jpeg (even without treatment) the file’s weight is divided by 2 or moore! Before that I used to be abble to export jpeg of the same size than my raw (around 50mo). When I ewport I put 100% quality, 300dpi like before si I think the problem is somewhere else. I tried everything in the preset but cannot solve the problem! Please help if someone knows what to do! That might be a clue: when I import a raw file, in the library it is called a CR2 but there is written “sidecar File JPG). I don’t know, maybe it shoul be written raw? Thank you for your answer, I’m loosing so much time! Oh my goodness thank you! Your first suggestion did the trick! I had no issues just two weeks ago…. but now all of a sudden when I try to batch process using presets…. it freezes…. also doesnt allow updateing to current settings of existing presets anymore….. have to push the escape button to get it to stop and then do each image individually. would really like to figure out what happened though as batch processing was a time saver in my work flow. Thanks in advance for any help/tips to fix. Oh.. running LR 6 on Wind 10 all new graphics processors ect… so I dont think the issue is in any of that stuff. Here are the issues I have in addition to the ones listed. While typing in metadata, i.e. filename, title, caption, the system is very slow to respond. I can tab to caption and be halfway through typing when the system finishes ‘writing’ the title field, clears what I just typed and places the cursor in the caption box. I have write to XMP unchecked. I also have the Graphics Processor unchecked. My export lag problem is the same, but after a few exports, the exported file does not show in the catalog. When this happens, the sync folder option is no longer available. The only way to fix the problem is to quit the program, restart and then sync the folder. There are other less annoying bugs, but these are the main two for me. I find that it’s a real leap of faith to hit the Crop Tool, as from time to time (and it’s getting more frequent) I hear the HD start thrashing and the system just locks on me. Sometimes I can tough it out and wait for everything to right itself, but generally it won’t, at which point I have to force a shutdown. Result: all my session adjustments are lost. Having read the above comments, I’ve disabled Graphics processor acceleration, so we’ll see whether that achieves anything. I’ve been with LR since V1, and love the interface (I’d welcome it on PS CS6, too..), but feel like standalone app users are being totally ignored now, and I’m not about to take on yet another monthly expense – I have quite enough already, thanks. So, if I do decide to jump from Adobe to another system, what are the chances of retaining all the tweaks I’ve applied over the years to my RAWs? Or am I being naive here? I was using lr 6 with no complains for over one year. was working fine until 2 months ago, and since is crashing on me all the time. I would like to stay with the stand alone 6, not cc and i’m ready to drop the light room 6, for this frustrating incident that i could not find a fix for it. I have not changed hardware, upgrades that should effect lr 6. Did anybody had same issues? Thank you for your article and recommendation of deselection of GPU Acceleration option. With the latest upgrade to Lightroom version: CC 2015.8 [ 1099473 ], my iMac started to shut down every few minutes while using Lightroom. By deselecting GPU Acceleration the issue was resolved. My lightroom won’t let me export, my beachball (mac) just swirls for hours. any ideas? I have found that the Zoom short cut keys dont work properly Ctrl + and -. Ok in Photoshop. But what does work if you hild Ctrl and then use the mouse wheel. I’ve been having issues for a little while now, but I think it may have something to do with a Windows upgrade (but I’m not sure). I tried uninstalling the latest upgrade and a clean boot, but the problem keeps returning. It only seems to happen when I use the adjustment brushes in Lightroom. In the middle of an adjustment, my screen turns blue and it reads : unexpected_kernel_mode_trap. Check that Adobe Flash app is up to date, as Lightroom does make use of it, and can become unstable if aynthing is outdated. If is am in ‘Develop’ processing shorts and then go into ‘Library’, open up a different folder highlight a shot and try and open up ‘Develop’, Lightroom just crashes every time. If, after changing folders and in ‘Library’ I close the programme and then open it up straight away, if I then open highlight a shot and open up ‘Develop’ it opens and I can start processing it. This is the same for files from a Canon EOS 5D3 and a 600D and it is the same whether I use CR2 files or convert them to DNG. when using the latest version of lightroom (details below) the select source screen pops up over the develop module all by itself. I need to cancel it to return to the dev module. This is annoying and never happened with my stand alone version 5.5 How do I fix this? I have noticed that in the publish section (specifically SmugMug plug in), that the grid view often times will be missing the headings (i.e. PUBLISHED PHOTOS, NEW PHOTOS TO PUBLISH, etc.). It seems that going to a folders grid view, and returning to the published folder will solve the problem, I believe. I am running Lightroom CC on a windows platform. I upgraded from LR 5.7 to 6. On startup it crashes and I get the “Lightroom quit unexpectedly.” box. Or the “An error occurred when attempting to change modules.” box. Either one of these error messages appear unexpectedly. Sometimes LR6 fires up just fine. My Lightroom 5.7 continues to fire up w/o any problems. I just wasted $75. Thank you Adobe. I use a Microsoft Surface Pro 4 with 16 g and lasted Windows 64 version. Lightroom stand alone 6 started to eat up all available memory and locking up windows. It does not have enough resources to boot. I have had to reload twice in the last two months. Does anyone know a workaround to prevent this from happening? I only use the surface for editing in Lightroom so nothing else pulling much on resources.